So what is better than a cake? A personalised cake that tastes just as good as it looks. Or perhaps even better than it looks. BakerDays offered me just such a cake to review. 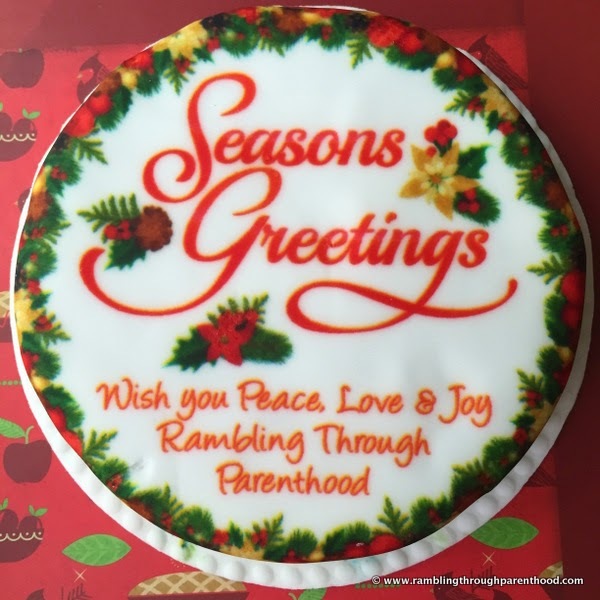 BakerDays are the personalised cake specialists that deliver delicious cakes straight to your home. The process is really quite simple. Well, I say simple. But it is no easy task when you have a choice of over 500 designs and six flavour options to choose from. 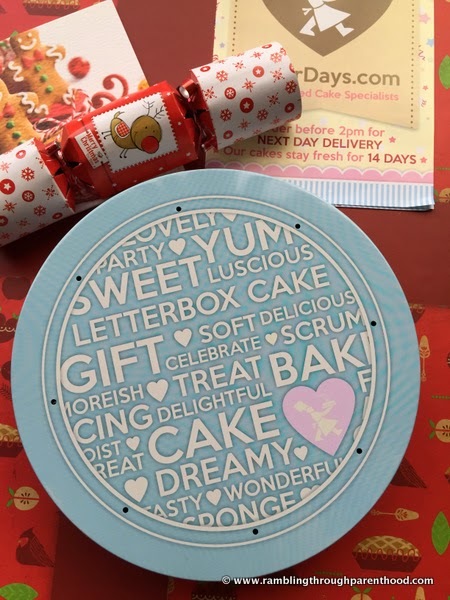 Apart from the usual small, medium and large sizes, BakerDays offer a fun and fantastic option of the Letterbox Cake. That's right, a 5" cake that serves 3 to 4 portions and can fit through your letterbox. This is the cake I was to review. 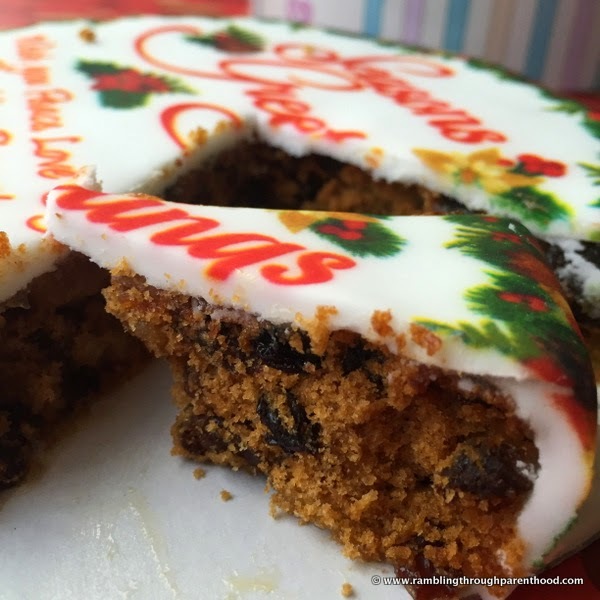 In keeping with the festive feel, I chose a Christmas fruit cake with a lovely floral motif, and personalised it to include the name of my blog. The cake arrived in the mail and came through my letterbox just as they said it would. 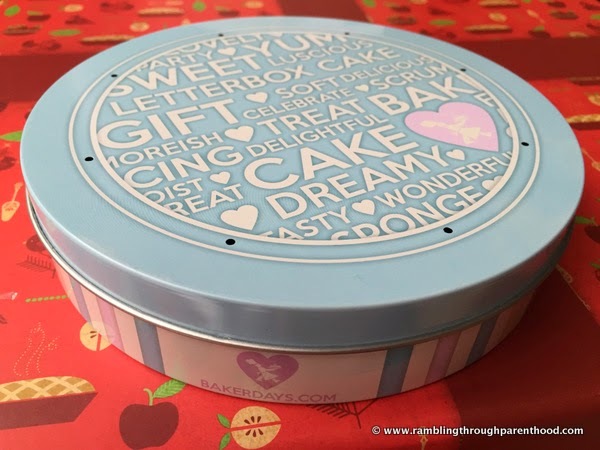 It was very neatly and securely packaged in a cute little cake tin that was housed in an outer cardboard box. The box included a little cracker and Christmas card to give it a festive feel. There were even specific instructions on how best to ease the cake out of its tin. Once the cake was safely free of all its wrappings, I paused to take a good look at it before going in with a knife. It really did look as pretty as the picture on the website. The lettering was very neat and the colours were vibrant and attractive. I cut out a small sliver and my three year old did the honours. He was delighted, and would have gladly scoffed the lot if I had let him. It was only when I eventually managed to bite into it, that I could fully appreciate how good my Letterbox cake actually was. It was packed full of fruit and perfectly spiced. It was sweet without being sickening. It was nice and sticky and perfectly scrumptious. Being quite a small sized cake, I am sorry to say it did not last very long in the C-household. To be honest, even a large one wouldn't have if it were to taste like that. 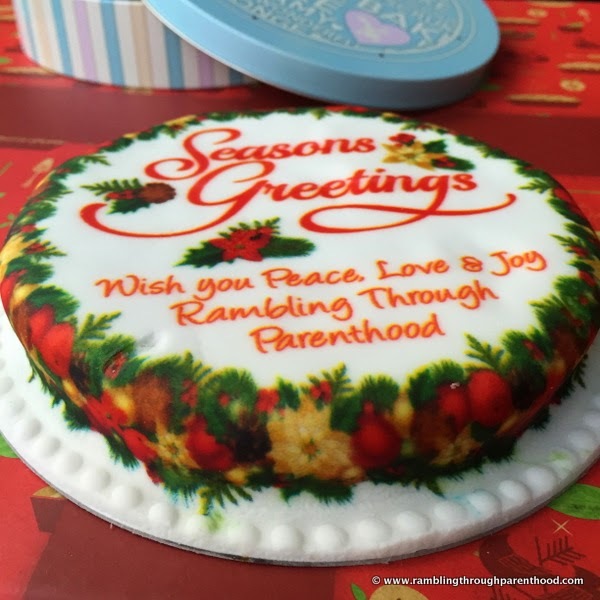 All in all, I think the Letterbox Cake is a charming way of greeting someone, whether for a special day, a special event or for the festive season. Starting at £14.99, you don't really need an excuse to order one. 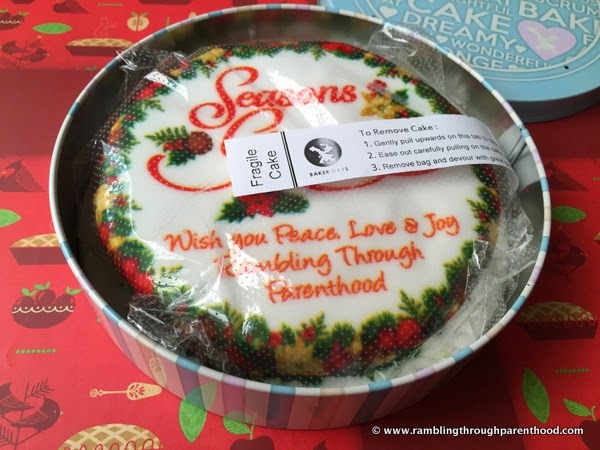 Disclaimer: I was sent a personalised Letterbox cake for the purpose of this review. All opinions are my own. What a lovely idea - and not too expensive either! I LOVE cake so one popping through my letterbox would make for a happy day! How wonderful to have a cake delivered to your home! What a luxury. I love the tin that the cake came in, lovely presentation. I tried a letterbox cake before and it was very tasty. I love how easy it would make sending a cake to a friend or family member who lives a way, away. This is a brilliant idea,, they would make a lovely birthday gift for those who didn't live close by. Wow what a fab idea, a cake through the post, it would make a brilliant gift! These are actually very tasty. We had them in the past and were very pleased with them. What a lovely idea to send to some one far away. This cake idea is lovely I have had one in the past it was delicious. What a great idea - and a really good price too. Yum!